Hope County Needs You! 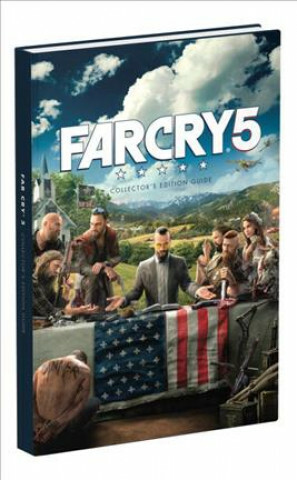 Premium Hardcover Book: A must-have for any fan of Far Cry 5. World Map Poster: Every collectible, hunting ground, fishing spot, and point of interest in the game marked and cataloged for quick and easy reference! Bonus Art and Interviews Section: A showcase of art and concepts highlighted with interviews from the development team. Complete Walkthrough: Full coverage of all of the quests in the game! Detailed Location Maps: Illustrated with strategic infiltration points, important items, and more! Free Mobile-Friendly eGuide: Includes a code to access the eGuide, a web-access version of the complete guide optimized for a second-screen experience.